The Best Way To Approach The Ageing Process. You are here: Home / Health / The Best Way To Approach The Ageing Process. (ThyBlackMan.com) The aging process is inevitable, and while there are many procedures to try and make you look like you’re avoiding it, there is no slowing it down. So rather than trying to fight it, embracing getting older is the key to enjoying it. There are going to be negatives, but as with everything there are positives too, but it’s important to know what’s going on with your body and how to maintain your health. It isn’t just the grey hairs, but your skin, bones and even your brain may start to do things you weren’t expecting, so it’s much better to be prepared and to start taking action now to look after yourself so that you don’t have to worry as much when our body begins to age even if you don’t feel ready for it yet. One of the most important things to do in life at any age is to eat a nutritious diet and get regular exercise, so if you’re feeling young and beautiful now make sure you are looking after yourself to prevent feeling any other way as you get older. As you age, it is likely that your bones will become thinner and more brittle. This is particularly prevalent in women. Conditions such as osteoporosis are a risk due to thinning bones and decreasing bone mass. You can also be at risk of falls which could mean broken bones. To prevent osteoporosis and falls, make sure you have a nutritious diet and adequate calcium intake as well as an adequate supply of vitamin D. It is also a good idea to participate in regular strengthening exercises. Your digestive tract will become more firm and rigid as you get older and it won’t contract as often. This can lead to constipation, stomach pain, and feelings of nausea. So to avoid this as much as you can, make sure you have a healthy diet. A good nutritious diet and regular exercise could also lower your heart rate, but to really look after yourself you need to cut out bad habits too. It’s common knowledge that smoking is bad for your body and your brain and is linked to a whole range of different health problems, including heart disease, lung cancer, and bronchitis. However, if you do stop smoking, regardless of your age, your circulation, your lung capacity, and your energy levels will improve. It’s not just what you eat you need to watch, but it’s everything you put into your body. Watch what you eat and drink while an ideal diet should be low in saturated fat, with lots of fruit and vegetables, whole grains, oily fish, and small amounts of low-fat dairy and lean meat. Don’t forget to top-up with lots of water to avoid dehydration, as this can make you feel tired and confused. Tea, coffee and fruit juice will also help you to stay hydrated but avoid sugary fizzy drinks. If you do drink alcohol, keep at least two days per week booze-free to give your liver time to recover from the toxic effects of alcohol, and don’t exceed recommended daily limits for alcohol consumption. It’s not uncommon to hear of people as they get older to take a look at their alcohol intake and realize that this has increased to a point where they are drinking every day. It’s very easy to slip into this and what was once one glass with dinner is now one bottle or more per night. If you are worried about your alcohol intake, then you can look up an AA meeting to see what support is out there. You should make the most of any help that is out there particularly your doctor. Don’t be afraid to get routine tests done to check your blood pressure and cholesterol levels. High readings increase your risk factor for stroke and heart disease, but any problems are completely reversible with medication. You could also ask about the seasonal flu jab and vitamin boosts. Many people have a vitamin D deficiency and don’t even know it. It is actually estimated that half of the adult population are Vitamin D deficient and this has been linked to cognitive impairment, bone problems and also cardiovascular disease. Try to get outside for at least 15-20 minutes a day for a vitamin D boost and up your intake of eggs and oily fish or talk to your doctor about a vitamin D supplement. While you’re getting tests and help from the doctor, you may as well get the full MOT and go for hearing tests and get your eyes checked too to make sure your vision and hearing are up to scratch. As well as sight and sound, your other senses could be affected by aging, as you may start to lose your sense of taste meaning that flavors may not seem as distinct to you. Your senses of smell and touch may also weaken as your body takes longer to react and needs more to stimulate it. Getting older can also cause changes in your reflexes. While dementia is not inevitable in old age, it is common for people to experience some forgetfulness as they get older as cells in the brain and nerves become damaged over time. Then there are your teeth to consider. The enamel that protects your teeth from decay can start to wear away over time which leaves you susceptible to cavities. Gum disease can also be a concern for people as they age, so good dental hygiene is imperative to protect your teeth and gums. A common side effect of many medications is dry mouth which can affect people as they age so make sure you brush your teeth twice a day and floss daily as this helps to prevent gum disease by removing pieces of food and plaque from between the teeth. Gum disease can also be linked to diabetes, strokes, heart disease and rheumatoid arthritis so make sure you have regular check-ups. Your skin is another thing to consider as loses its elasticity as you age and may start to sag and wrinkle. However, if you have protected your skin from the sun and haven’t smoked while you were younger, then your skin will look better as you get older. If you don’t do it already, then start protecting your skin now to prevent further damage, as well as skin cancer. Looking after your feet is another thing you should do. While this can relax you and it can feel really nice, looking after your feet will prevent problems such as corns, bunions or ingrown toenails. Try applying moisturizer before going to bed and using moisturizing socks to avoid dry skin and make sure cut your toenails straight across to prevent ingrown toenails. Make sure your footwear fits properly and supports your feet. Again, very important at any age but mainly as you get older – make sure you get enough sleep! If you don’t, it can leave you feeling tired and grumpy. However, if you didn’t get enough sleep at night time, cut down on daytime naps and try to establish a bedtime routine and going to bed at the same time each night. Also, try a warm drink such as chamomile tea or hot milk before you go to bed. Finally, while taking care of your physical self is vital, it is also essential that you tend to your emotional health as well. Spend time with other people as this will prevent you from feeling lonely or anxious. Try to develop new hobbies and interests or think about becoming a volunteer. Keep in touch with people by using Skype to make video phone calls to friends and family who don’t live nearby and if you are single, divorced, or bereaved and would like to meet someone, then have a look into dating companies and websites. 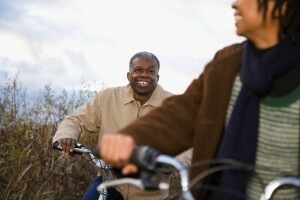 Stay physically active with regular exercise; stay socially active with friends and family and within your community; eat a healthy, well-balanced diet — dump the junk food in favor of fiber-rich, low-fat, and low-cholesterol eating; don’t neglect yourself: Regular check-ups with your doctor, dentist, and optometrist are even more critical now; take all medications as directed by your doctor; limit alcohol consumption and cut out smoking; and get the sleep that your body needs.